Most DWI / DUI cases in New Jersey involve the administration of a breath test. However, sometimes a police officer will ask a driver to submit to a blood or urine test. It is crucial for anyone under suspicion of drunk driving to know that, in most circumstances, they cannot be forced to give blood or urine. If you were pulled over for a DUI and did take a blood or urine test, it is crucial that you speak with an experienced DUI attorney immediately. The attorneys at the Tormey Law Firm represent clients facing DWI / DUI charges throughout Essex County, including Montclair, Bloomfield, and Roseland. Our DUI litigation team includes a certified DWI Alcotest operator and a former DWI prosecutor. We also utilize the services of a retired New Jersey State Trooper who is a certified field sobriety test instructor. Call the Tormey Law Firm today at 201-654-3464. One of our experienced attorneys will examine the evidence in your case and determine a winning strategy. The reasons behind the officer’s decision to administer blood test can make all the difference in the world when it comes to fighting your DWI or DUI charges. A knowledgeable Driving While Intoxicated defense attorney may be able to challenge the reliability of the sample in your case. For example, it’s possible that the machine used to test your blood was not properly calibrated, or maybe the blood was improperly drawn by an individual lacking the necessary credentials, or perhaps the police officer misled you into thinking that you were required to take the blood test. An experienced attorney will hold law enforcement and prosecutors accountable for their mistakes and make sure that your legal rights are protected. 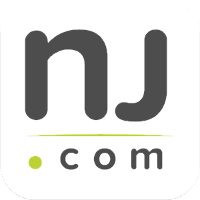 Although Refusal to Submit to a Breath Test is a valid charge under New Jersey law because all NJ drivers implicitly agree to breath testing, there is no such requirement to submit to a blood test. 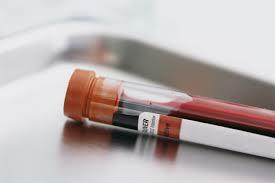 Since you have the right to refuse a blood test, Refusal to Submit to a Blood Test is not a valid charge. In fact, the Tormey Law Firm recently represented a client who was improperly charged with Refusal in Newark; we got the charge dismissed as a matter of law. The DUI defense lawyers at the Tormey Law Firm are available 24-7 to assist you because we know that an impaired driving charge can happen anytime and anyplace. Call us at 201-654-3464 to discuss your charges, or email us to schedule a free, in-person consultation. One of our lawyers will be happy to look over the evidence in your case and help you determine if the blood test reading in your case is valid.